I don’t want to buy new. I’ve learned (the hard way) that reusing the tiny plastic cells from the garden centre (the ones they sell punnets of seedlings in) doesn’t work too well. They are too small and they dry out too fast. 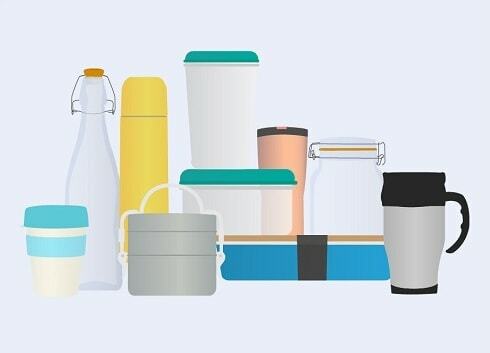 We don’t have enough of the bigger plastic pots to use those…plus they take up a lot more space. 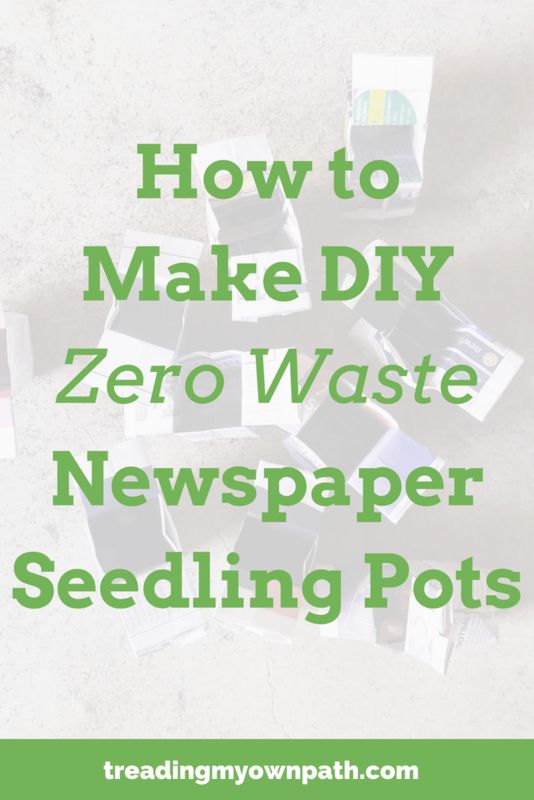 Instead, I’m making my own zero waste seedling pots out of newspaper. You don’t need any fancy gadgets for this. Even the pair of scissors is optional. You just need two hands, and a bit of patience. Even though I can make these without thinking now, I’ll admit that when my friend (who is a very good teacher) first showed me how to make these, I had a full-on tantrum! (How embarrassing.) If you get frustrated the first few times, just remember it’s only newspaper, and no-one has died. You’ll grasp it soon enough! 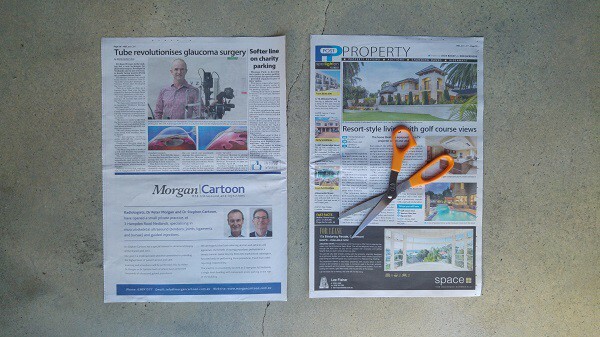 If you don’t read the newspaper, I guarantee that your neighbour does, or someone at work, or a family member. 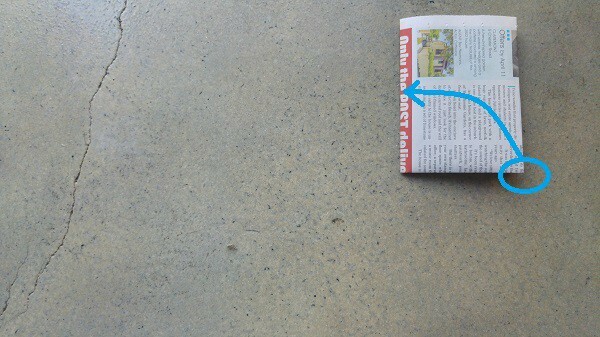 Maybe a local cafe will have a mangled, well-read one. The other great thing with these is that newspaper breaks down easily, so they can be planted directly into garden beds. No need to disturb the plant roots by removing from the paper. You can always tear the base before planting if you’re worried it will restrict growth. 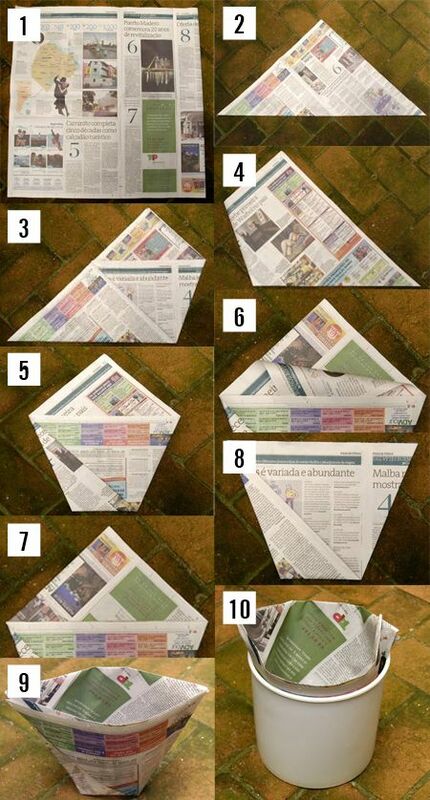 Start with a single sheet of newspaper. For seedling pots, I cut a double sheet like this in half. 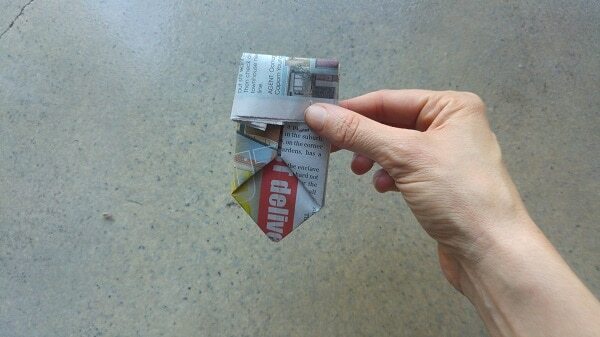 Cut the newspaper sheet in half along the fold. Put the sheet to the left to one side. We will only be working with one sheet at a time. Turn the sheet of paper so that the longest side is horizontal. 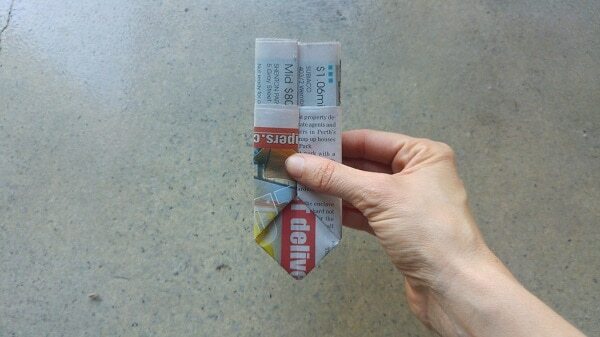 Fold the newspaper in half from left to right (the fold is on the left hand side). Fold the sheet again from bottom to top (the new fold is on the bottom). 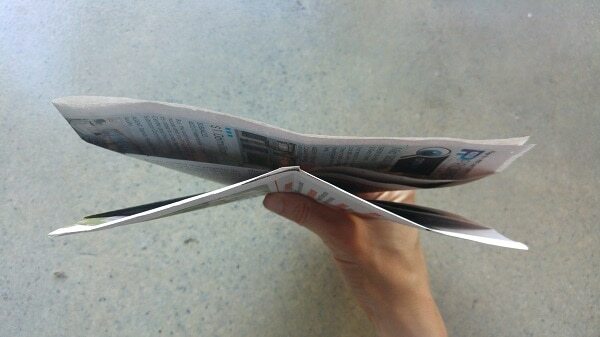 Fold the newspaper one more time from left to right. 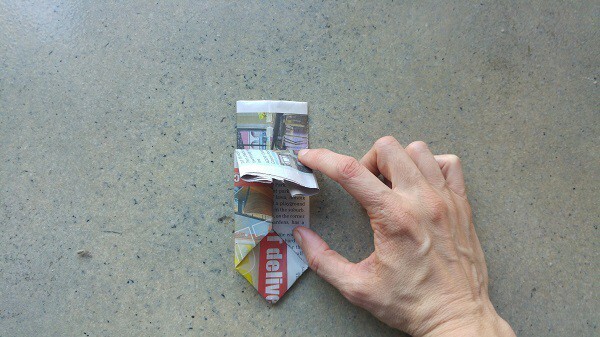 The paper in front of you will be folded a bit like a book, and each flap has a front and a back. You want to take the right-hand corner of the front flap, and fold it towards you, pulling it open as you do so to make a triangle shape along the “spine” of the “book”. You can see (marked by the blue spot) that the bottom right hand corner has moved to where the spine was, and is opened to form a triangle. 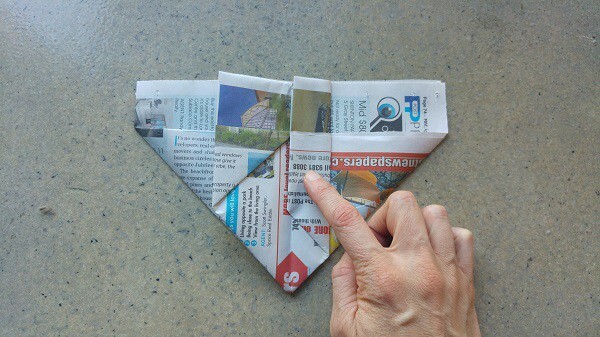 Now that you’ve folded this side, turn the newspaper over (180°) and do the same on the other side. It will be mirrored, so the corner will be on the left hand side. 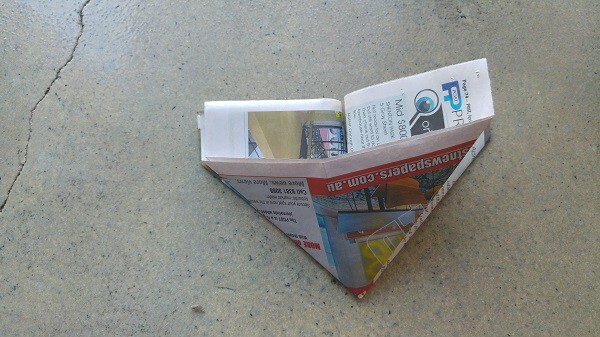 Once both sides have been folded, your newspaper will look like this. 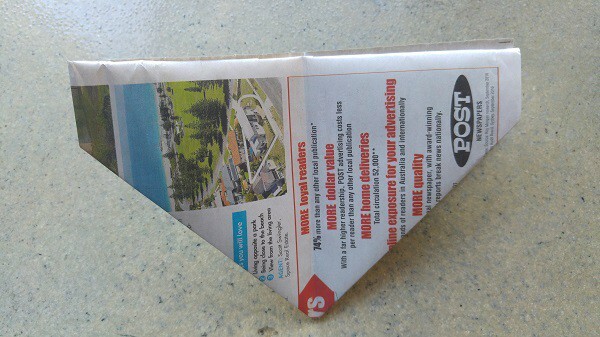 There will be a triangle-shaped pocket on the front and the back, and a gap in the centre seam above the two triangles. 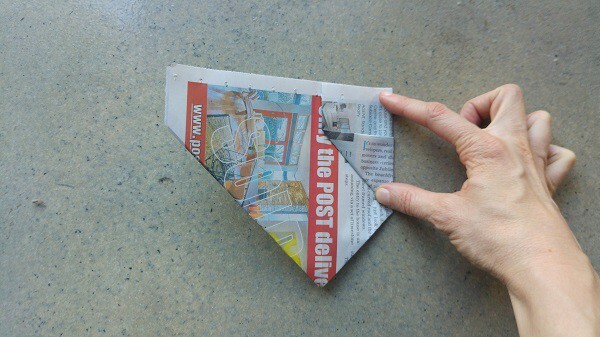 Now turn the right hand side of the paper, like the page of a book, to the left (180°) so that you can see one continuous triangle. 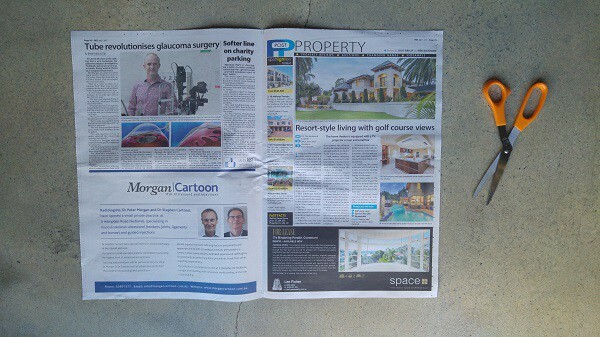 Flip the newspaper over and repeat with the other side so that both sides now look like this. 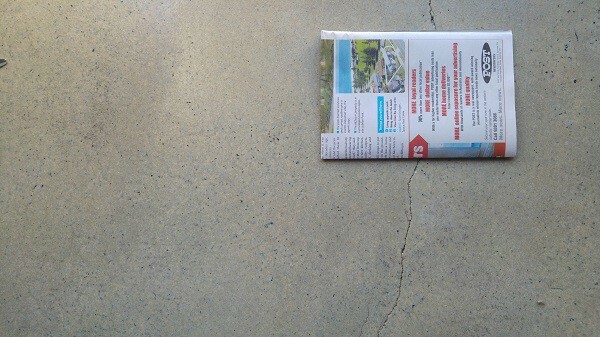 If it is correct, the paper will look like this from above. 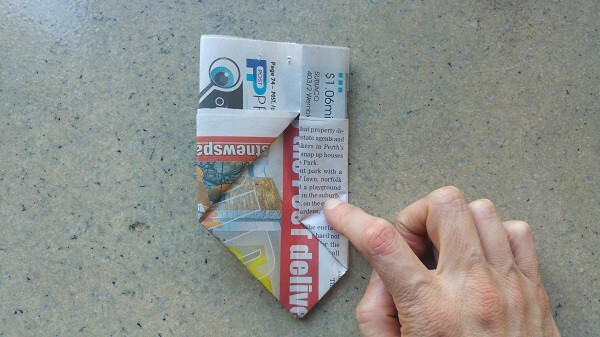 Lay the paper down flat, and fold each of the front flaps into the centre fold. 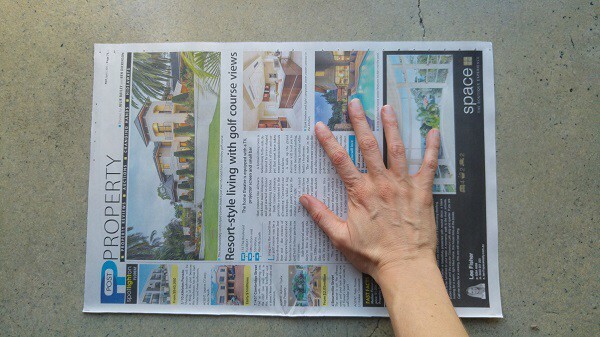 Now flip the newspaper over, and do repeat on the other side. 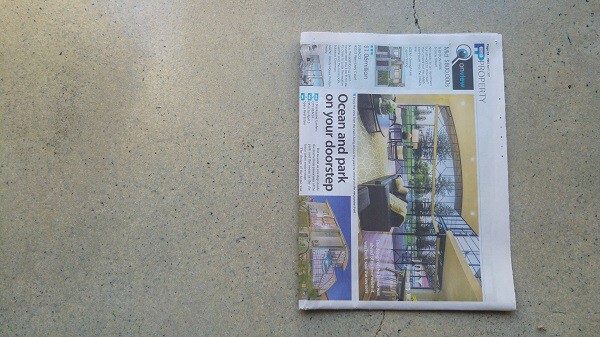 Your newspaper now looks like this. 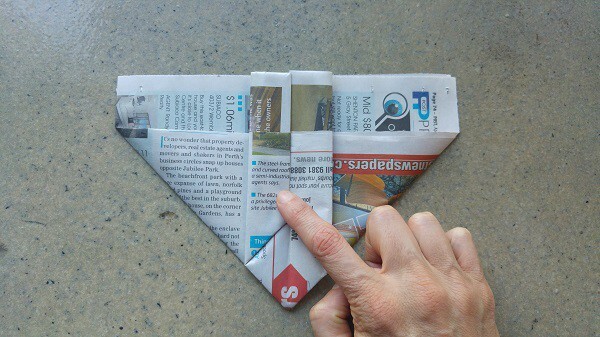 Fold the top flap down towards you along the newspaper line. Now you can gently pull the two flaps outwards and open your pot! Push your fingers inside to straighten out (and flatten out the bottom). Ta-da! 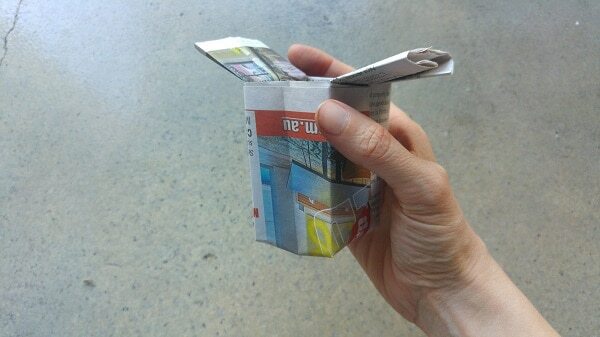 A zero waste newspaper seedling pot. The flaps can be useful for lifting the pots, or labelling what you’ve planted inside the pot. If you don’t like them you can fold them inside. Once the pot of filled with soil they won’t flap about. I wouldn’t recommend cutting them off as the folding is what keeps it all in place. Next step… to go forth and plant things! Now I’ love to hear from you! Have you ever made these before? Do you have a different method? 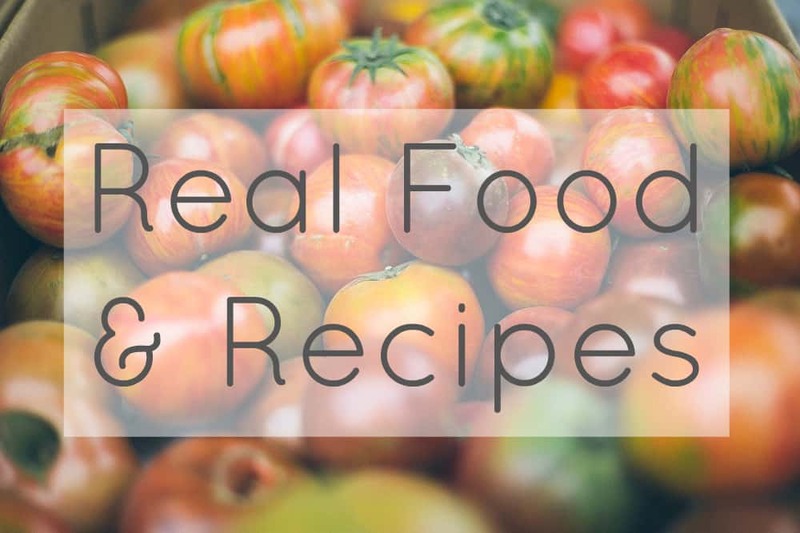 Are you feeling inspired to grow stuff? Do you want to make some and then share a photo with me so I can admire your handiwork? (Answer – yes you do!) Anything else you’d like to add? Please share your thoughts in the comments below! My pleasure Lee! :) Glad you found it useful. 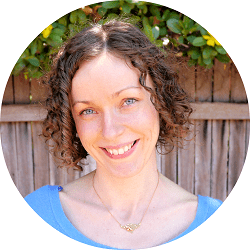 My pleasure Claire. Did you give it a go?! I really like this!! It’s quite ingenious! never made these square guys, but i do a lower tech roll a strip of paper around a drinking glass with the paper hanging off the bottom of the glass. i roll the paper around the glass several times and then push the loose edges towards the middle of the glass bottom. slide all off the glass. it holds together rather well filled with soil and set on a tray. not as pretty as yours. 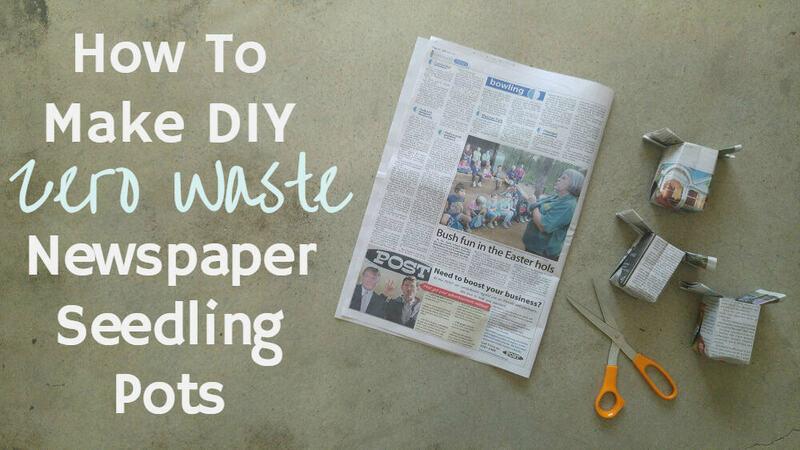 :-) also, 4 toilet paper rolls held together with a rubber band can be set onto 2 or 3 thicknesses of newspaper. the edges can be brought up the sides of the tp rolls and secured with another rubber band. these work well to start pants and when planting out, i remove the newspaper and rubber bands, leaving the tp roll to decompose in the soil. if the seedling is one that slugs might munch, i wrap a strip of aluminum foil around the tp roll to deter them. 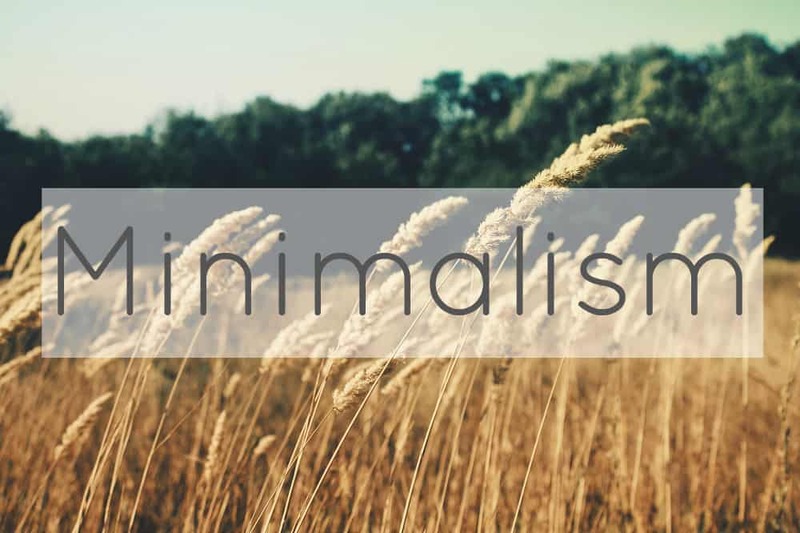 I love all simple, low tech/no tech approaches. Anything that stops a trip to the garden centre/hardware store to buy brand new stuff is a win from me! No wonder you had a tantrum :) This is freaking origami level20!!! 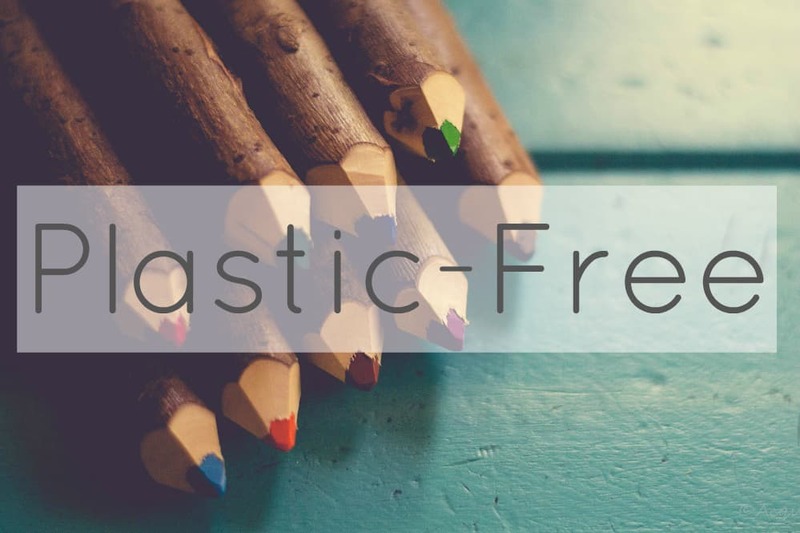 I make mine out of left over toilet paper rolls that I collect through the year. They are so much easier to make, although you do need a pair of scissors for that project. And of course storing the rolls off season is not my fav part – those babies are bulky. Hehe Gayla, it is actually not, although I definitely thought it was when I first tried it! 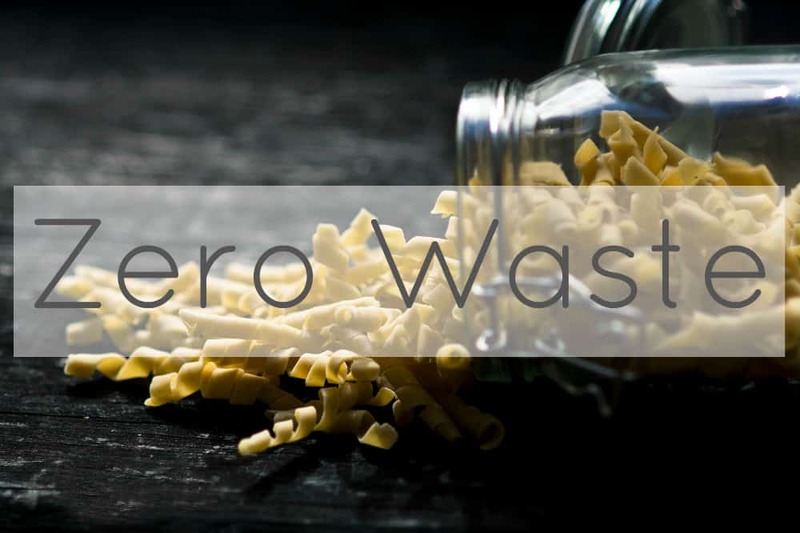 Seriously, after a couple of tries, you can whip one up in a minute. Promise! Ah yep, we currently have a line of toilet rolls in our bathroom awaiting seedling planting. ;) But it is hard to go through that much loo roll! Oh, this is too cute. I will try this with my class. 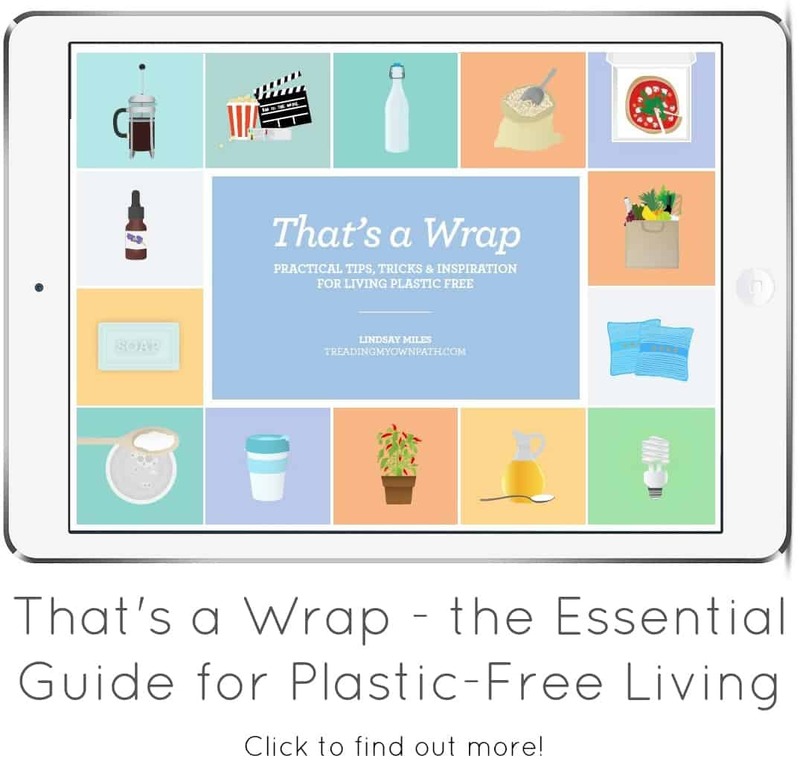 I have tried a bigger version as garbage bin liners. I used egg cartons for my seedlings; I’ve heard even eggshells work too but haven’t tried that! Thanks Nadine! I haven’t tried bigger, I would think that the bottom would break easily as there is only a single layer of paper? 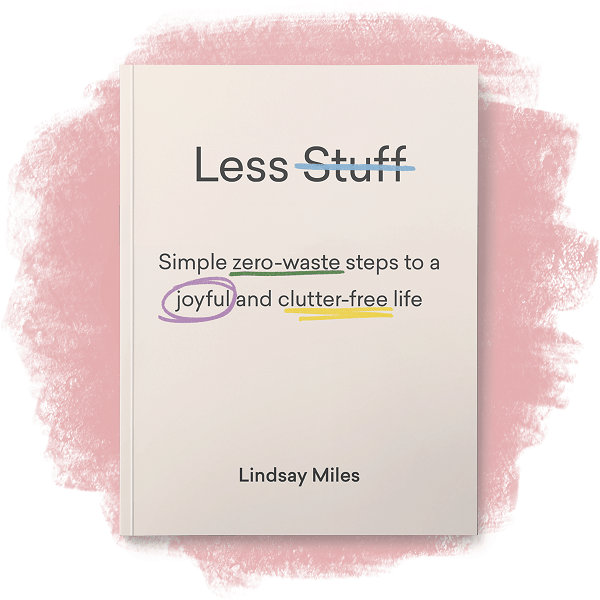 But I guess that depends what you put in the bin! I’ve used egg cartons too, but we don’t buy eggs now so we don’t have the boxes. I tried egg shells and whilst they look pretty they are a pain to fill with soil and difficult to water. More effort than they are worth, I think! 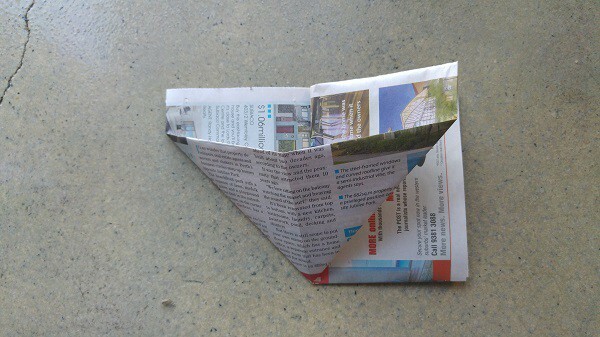 I use bigger newspaper envelopes to line my kitchen scraps bucket. I’ll then take the whole thing to compost. Here are idiot proof instuctions that I use https://s-media-cache-ak0.pinimg.com/564x/7d/7c/32/7d7c323e6e3afff675ea27e7046dafdf.jpg not that you need those with your current skills tee-hee, but for other origami retards like myself. Cool! Very clear photo tutorial, too. Those spare flaps on the outside are more stable folded into the pot. 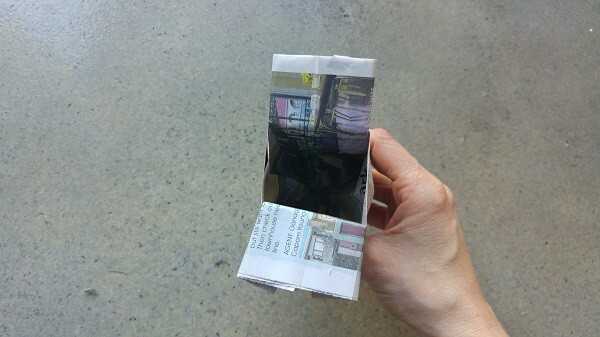 * open out the other side at the top, with one layer of paper in front, 5 (including the tucks) on the other. Shape into a pot. * insert seeds and fold the back forwards over the opening. If you’ve been canny, you’ll have worked this so that it’s blank for you to write on! I once tried to make a newspaper carry bag…umm it turned out OK but not quite as professionally looking as the ones you get in Bali. 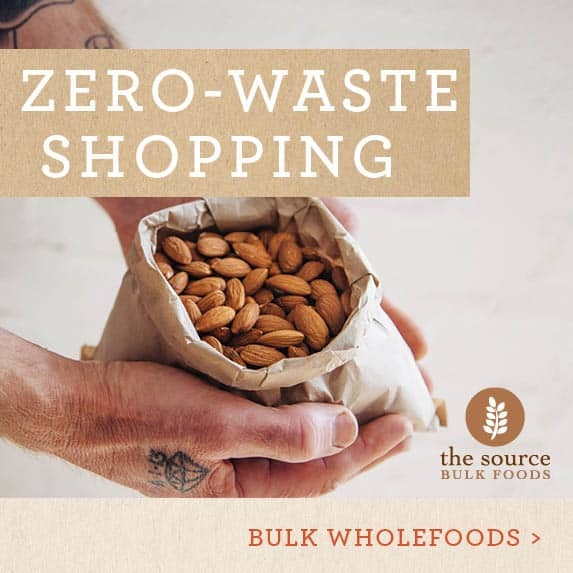 I’ve never worked out why we don’t use recycled newspaper bags in Oz. Anyway I love your pots and will try making some. Thanks for your inspiration! Thanks for this! 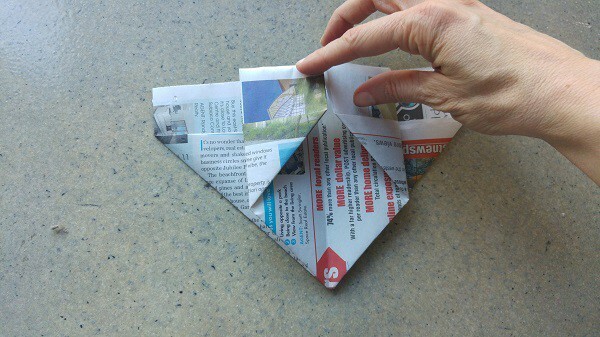 I learned to fold this at school when i was 12 from a japanese teacher and have forgotten how to do this for many years. Been wanting to learn to do this again. Thank you!